There must be an algorithm that could write this case for me. Compiling and graphing the challenge data, annotating the steps taken and displaying polished percentages of slightly rounded up affects. You also might find the experience cold, uncaring and with little, to no investment in you, the reader. 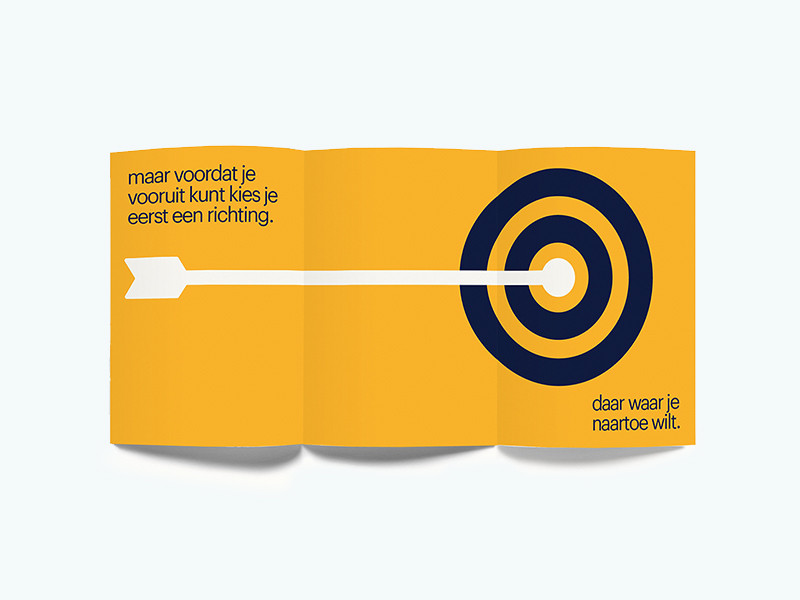 With Randstad’s Human Forward position the role of people becomes much clearer. We are not here to feed the tech or act as a human chatbot for data. They feed us, our knowledge and experience, so we can better bring each other forward. Technology and human touch that creates progress for everyone. That is not just a marketing position. It is both the way the employees should feel they are seen by the company while also being the bar by which their performance, and it’s impact on lives, will be judged. In short, Human Forward is not “new drapes same window”, its a new view on the job at hand. This is what we were tasked with communicating to the client and candidate teams of Randstad. 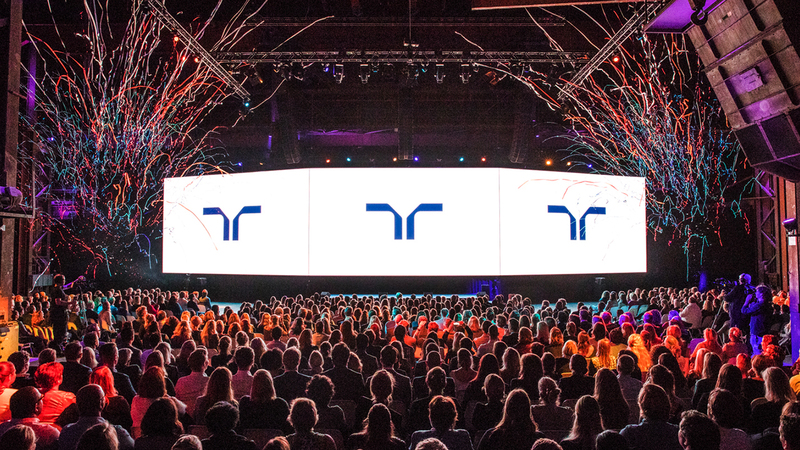 To introduce this crucial brand evolution, we chose to embed the personal touch in our approach, leveraging technology to bring uniquely individual stories and tools to every employee. 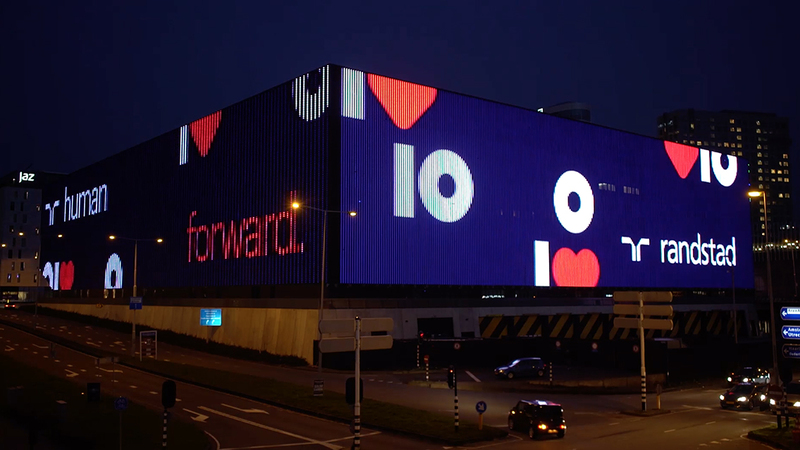 We first created a live event event for more than 3000 employees, sharing with them the Human Forward story face to face. In an automated world, personal is crucial. 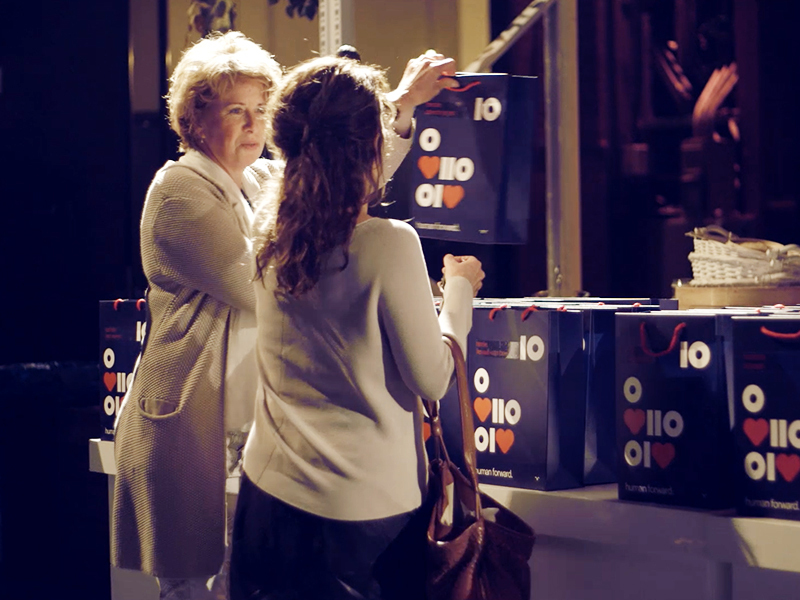 Then launched it with a documentary chronicling the emotional investments of one Randstad representative. An exploration of the incredible personal affects of getting personally involved. 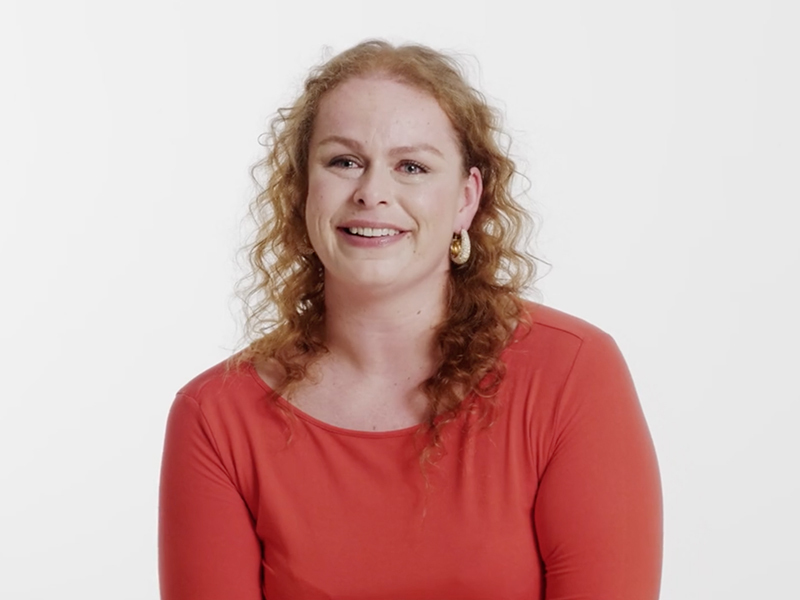 Through a series of films and presentations we explored the power of innovation and the drawbacks of tech for tech’s sake, celebrating each team member’s role in Human Forward’s tech & touch approach. Building to a bombastic reveal of the new brand, house-style and all. The next day to prove it would not be business as usual we welcomed every employee to work with a SMS inviting them to our mobile web app that, through employee interaction, let them touch their way through their own individual story of Human Forward, and then gave them the power to write the book on their version of that story, literally. These books, all 6000 of them were delivered to clients and candidates of their choosing leading to coffees and conversation on what Human Forward meant to careers and companies. The team can tell the story. The outcome was a brand introduction and company position launching with zero confusion about the message, the actions required, and each employees part in it. Sales teams embraced the power of the story and tools we created for them to tell it. 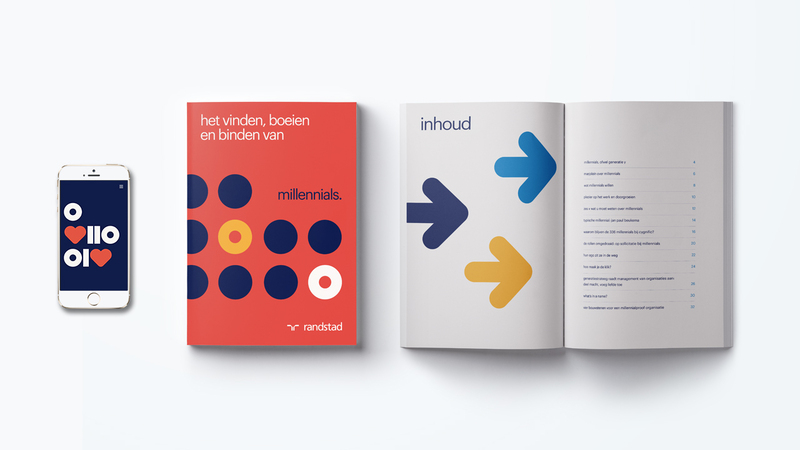 And Randstad is perfectly positioned to begin sharing their Human Forward philosophy with the greater public, secure in the knowledge that every single member of the team is focused on proving it true.